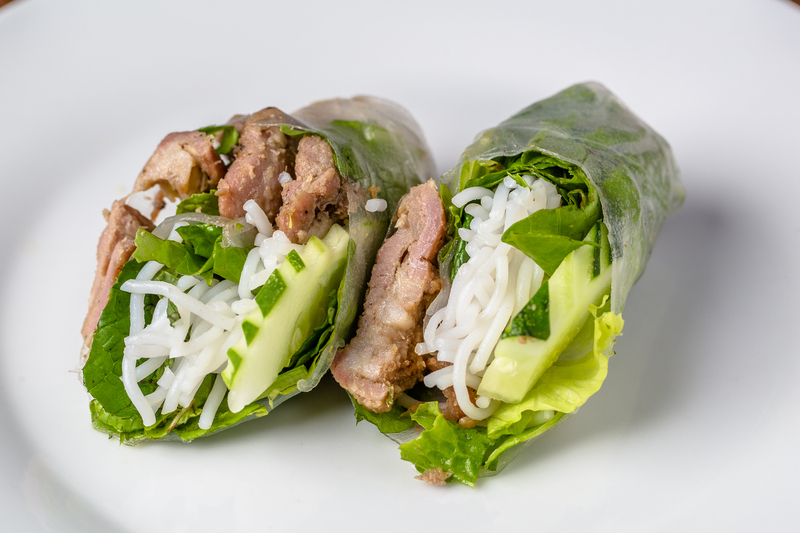 Healthy, fresh Vietnamese Gỏi Cuốn literally means Salad Rolls (which we think is a more appropriate name, but so many people are used to calling it spring rolls we have to stick with that). Spring rolls are best for Family Style dinners, Party Platters, and fun food activity for kids. 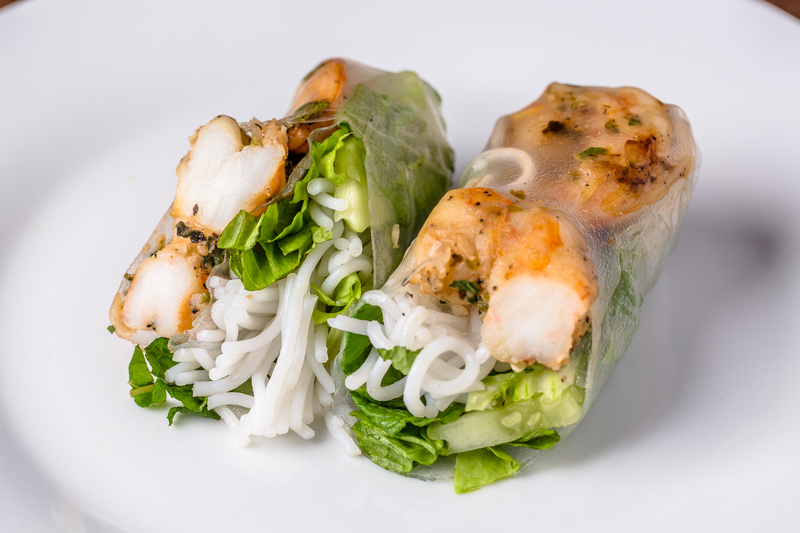 What makes spring rolls so popular is because it's healthy, delicious, anyone can make it & customize to taste. The challenge is the prep work involved. Ingredients below are arbitrary. Quantity needed depends on how much is preferred to be in the roll. It doesn’t have to be exact and extra ingredients can be made into a whole new dish. Below you will find the most basic recipe for spring rolls: the boiled pork and shrimp spring roll. In addition there are different types of sauces you can make according to taste. 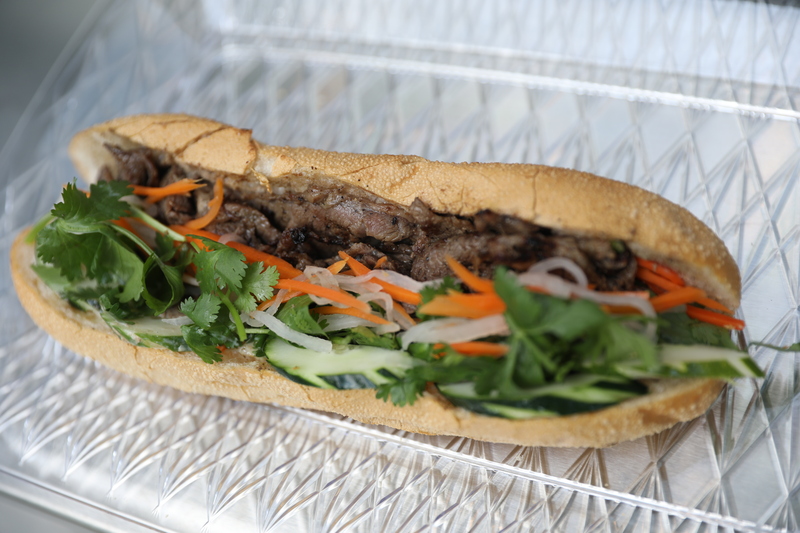 The traditional sauce is the hoisin peanut sauce, but the dipping sauce can be used for those with peanut allergies. 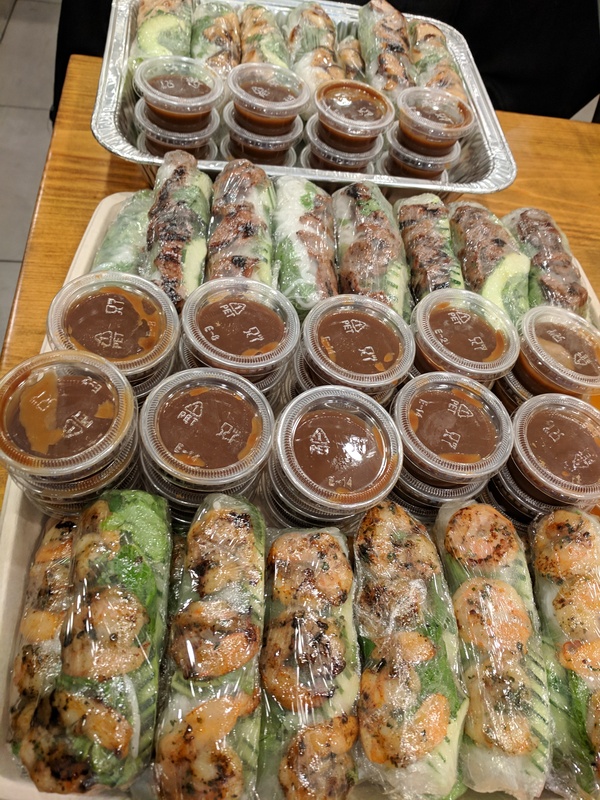 The dipping sauce actually pairs better with any grilled meats, which is how Bun Mi makes their spring rolls (the grilled meats and mushroom gives it a more elevated taste) and the thicker sauces usually mask the marinades. Boil a pot of water (2-3 quarts of water at least) with 2 teaspoon of salt. Add in the 8 ounces of rice noodles and bring to a boil. Turn off and let it soak for 5 minutes. Drain water using a plastic colander and rinse 3 times with water. Microwave the colander on high for 4 minutes and set aside. Bring pot of water to boil and add in the meat. Boil for 5 minutes and dump the water and wash the meat to remove the scum. Put the pork back into the water to boil again and season with salt or fish sauce and a teaspoon of sugar. Once the pot has come to a boil, simmer for about 30 minutes (depends on weight). Meat will float when almost done. Let it sit in the pot. For best flavor and appearance, devein shrimp but leave in shell to boil. Add ½ tsp salt and enough water to cover shrimp. Add a little sugar and ground pepper. Once cooked, remove shrimp to cool and peel. Split in half lengthwise. For easy rolling, dip in warm water (half boiling water, half room temperature water). Set immediately on plate and add fillings when paper is soft. Best eaten fresh. Extra rolls can be wrapped in saran wrap. If eaten next day, rice paper will be dry. Pat with water and place a wet paper towel on dish and microwave for about 30 seconds. 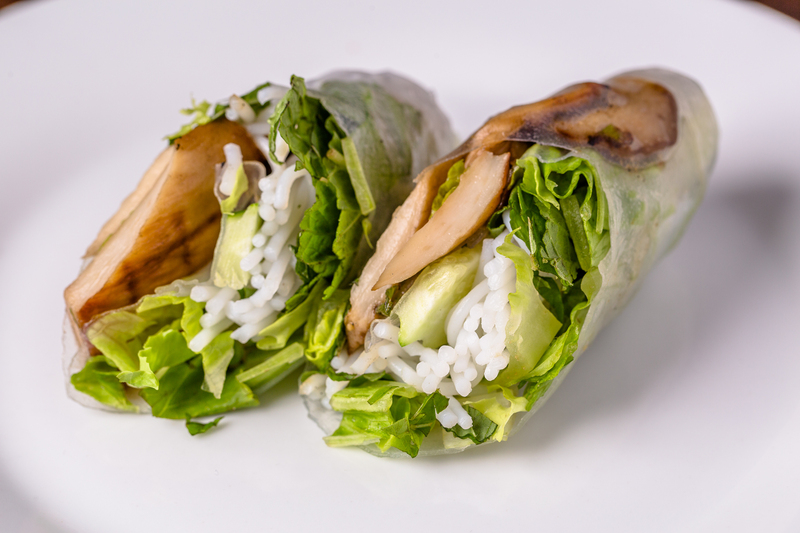 The leafy greens might wilt slightly, but the rolls will taste much better than eating as is. Season the broth used to cook pork with a spoonful of caramelized onions and garlic paste and add all the ingredients for the roll (minus rice paper and sauce) for a delicious noodle soup bowl. Look up recipe for Hu Tieu Nam Vang. Extra broth can be used to make a clear delicious vegetable soup. My fav zucchini or napa cabbage. Sauces can store for a few months in the refrigerator. Extra peanut sauce can be tossed with spaghetti noodles. Still have extra herbs and noodles but ran out of meat? Buy some egg rolls or Vietnamese Cha Gio from a restaurant or fry some frozen ones up (sold at Asian grocery stores). Cut them into a bowl with the noodles and herbs. 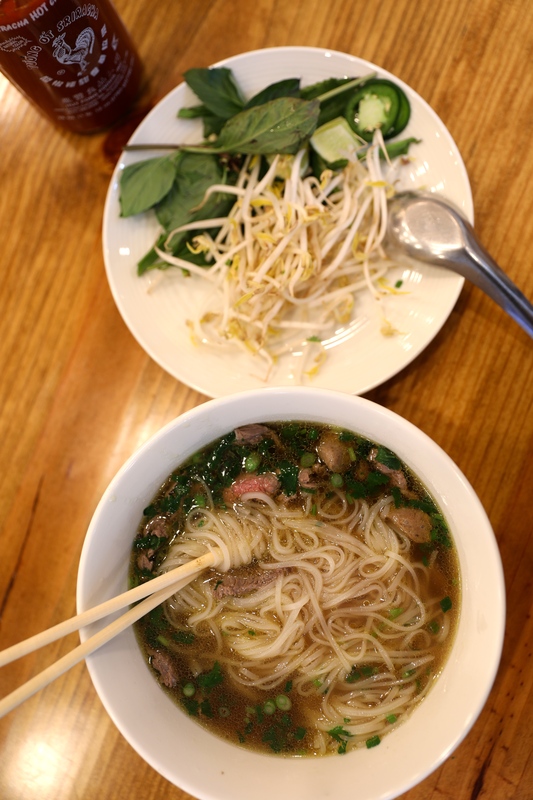 Drizzle on the Vietnamese dipping sauce and you have a delicious bowl of Rice Noodles with Egg roll.